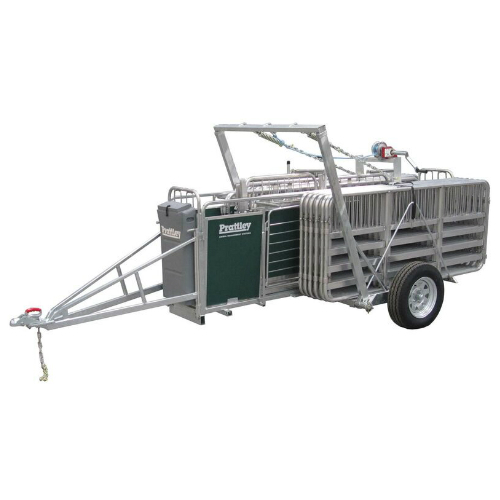 Prattley’s prime aim is to produce quality animal handling equipment that helps attain maximum efficiency. Prattley Industries Ltd is a world leader in lightweight automated animal management systems using cutting-edge technology. Prattley’s prime aim is to produce quality animal handling equipment that helps attain maximum efficiency. The alloy used in production is bought in soft form and heat-treated to give high-tensile strength, while remaining lightweight. This allows the Prattley systems to be easily set up and operated by one user. Whether it is a relocatable stock yard, or an automated drafting system, Prattley has the answer for all requirements. 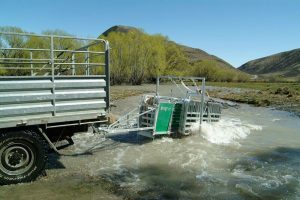 This equipment can be taken to any part of the farm, even through the roughest terrain, for ‘‘on the spot’’ stock management. Safe on-farm management begins with a successful yard system. The ability to move mobile yards, and incorporate these with existing fence lines anywhere on-farm, while using surrounding environmental factors such as land layout, sunlight and wind direction, encourages a natural, smooth stock flow to stop animals balking. 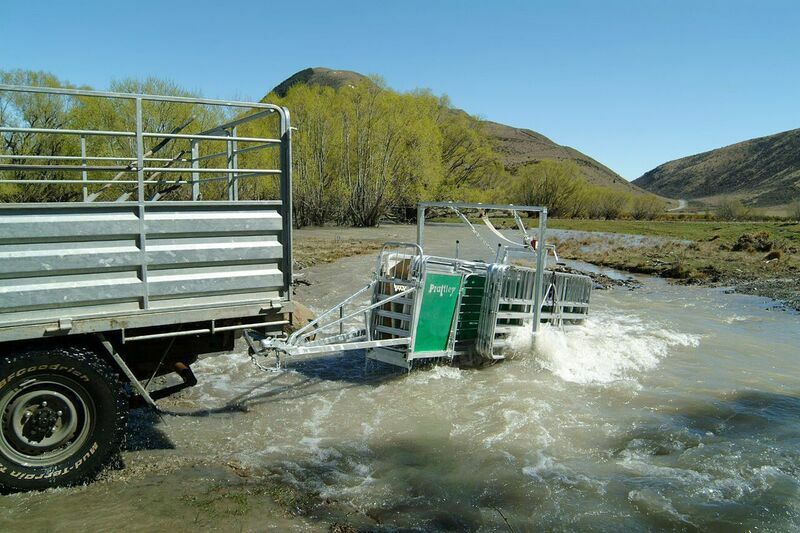 Avoiding sharp blind corners and including well-positioned gates further assists livestock flow. Ultimately the stock are at home in their own environment. Moving the mobile yard system to stock on the farm cuts out herding and driving time of animals to permanent yards, which eliminates stress and fatigue and the risk of infection from dusty or muddy tracks. 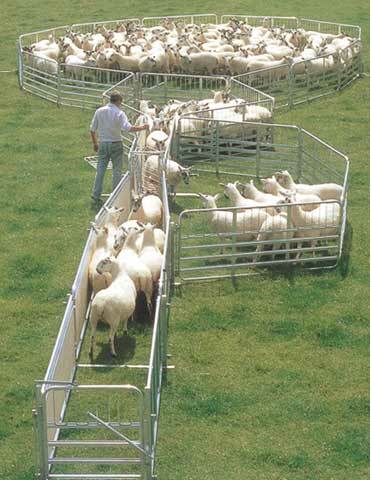 In turn, this reduces herding time and labour costs. Relocatable yarding means less time off feed and more time in the paddock putting on condition. Stock remain cleaner because of less movement, which keeps animals hygienic for shipping off-farm and processing. It is crucial to maintain a low stress environment prior to processing, as high anxiety results in a finished product that is tough in texture. As well as safety for the animal, the handling equipment must also ensure the safety of those people managing the animals. The animal handlers must be educated in animal behaviour. Do not underestimate the speed or accuracy of a rogue animal. 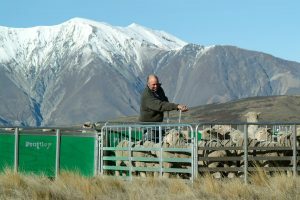 Sheep handlers and weigh equipment should all restrain livestock safely against harm to the user, while still restraining the animal in a safe and humane manner. Prattley is committed to working with farmers to obtain maximum accuracy, speed and labour cost savings while managing stock, as well as forming close associations with several leading agricultural companies to develop innovative solutions for farmers and to provide a seamless animal management system.